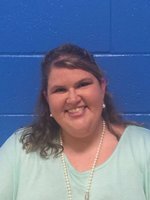 I am Lauren Saxton and I will be teaching 4th and 5th grade Math this year! I am from Flora, Ms and graduated from Tri-County Academy. I received my bachelors degree in Elementary Education from Delta State University. This is my fifth year at Linwood Elementary. I am really excited about this school year and seeing how much further your child and I can grow in our Math lessons. I have high expectations for my students this year and I know they will do a wonderful job. I will keep you updated throughout the year on all of our goals and expectations to make this a successfull school year for all of us. I will be preparing your child for the MAAP test. I look forward to talking to all of you throughout the year. If you have any questions, please do not hesitate to email me at any time. My email is lauren.saxton@yazoo.k12.ms.us.